This neighborhood shopping center is located at the southeast corner of Schoenherr Road & 13 Mile Road, offering great visibility and outstanding demographics. 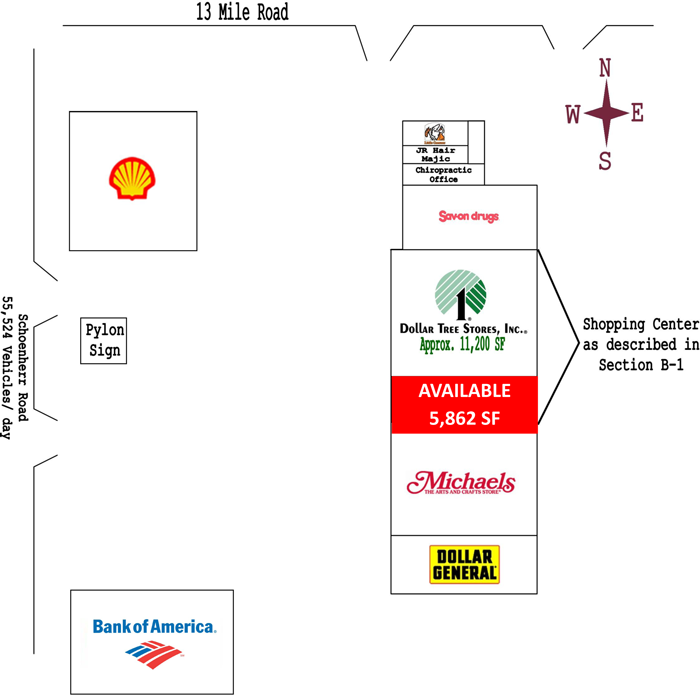 Excellent location for any retail user, the center boasts tons of parking and large pylon signage. Join current tenants Dollar Tree, Michael’s, Save Mor Drugs, Little Caesar’s, and others. OVER 45,000 VEHICLES PER DAY!